Aeries Resources created a unique record in April 2017 with the completion of a new ventilation shaft at our Tritton Operation in NSW. The shaft is a massive 864 metres deep and five metres in diameter, large enough to drive a bus through it. Record Breaking Bore For Tritton from Aeris Resources on Vimeo. The 864 metres deep, 5 metre diameter shaft is a world record (length and diameter) for the Atlas Copco 91R raisebore rig and one of the largest single-pass ventilation shafts in Australia. The ventilation shaft will support mining down to 1300 metres below the surface and deeper with other development. 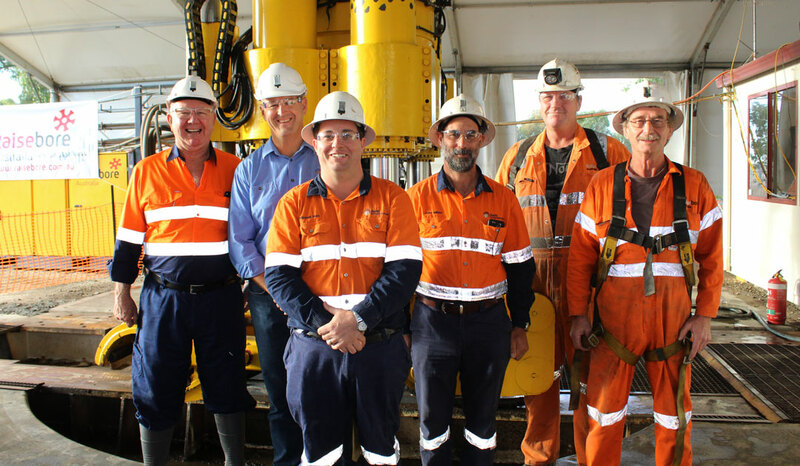 This $11 million investment will enable the 1.3Mtpa mining rate to continue for the next few years and rates of 1Mtpa as the mine goes deeper.